You are here: Home / Bowflex / Bowflex Xtreme 2 SE Review – Are You Extreme? Thank you for stopping by to read my Bowflex Xtreme 2 SE review. If you are tired of paying gym memberships or fighting with other gym rats for equipment, then a home gym might be just right for you. 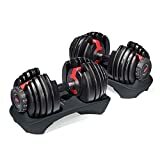 I will take a good hard look at this home gym from Bowflex and tell you what I like, and if anything, what I don’t like. So, kick back, relax and enjoy this review. Buildingstrongerbodies.com is centered on back pain. I like to share my story with people and share ways that I have found to help with my back problems. The best thing for me is exercise, and working out, building a strong core, to support my spine. Therefore, with this post, I am sharing a home gym, which is in line with my goal of building and maintaining a strong core. The Bowflex Xtreme 2 SE will help you build and maintain a strong core, as well as get a full body workout. Bowflex has been designing innovative home gym systems for about 30 years now. They never cease to impress. Power Rod technology is, in my opinion, what has made them famous. Bringing a lightweight and compact machine with a ton of functionality into your home is fantastic. Gone are the gym memberships and the stress of getting to the gym. One thing I want to point out is a post that I wrote about purchasing a home gym. 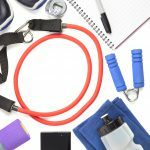 There are pointers and things to consider when you are thinking about making your home gym purchase. I know that one of the things many people struggle with is just getting to the gym. After a long day of work, a lot of people don’t want to hop back in the car and make the trek to their local (or not so local) gym. Getting to the gym is probably more than half the battle for a lot of people. Then, after you get to the gym, so many other people are using the same equipment you want to use. Unless you have a schedule that allows you to go during the off-peak hours, gyms can be a real downer. A home gym has many advantages. First off, you make the initial investment and then you don’t pay a monthly membership anymore. Second, you can workout on your schedule, no more fighting to use the equipment. So, without any more delay, let’s get to work! 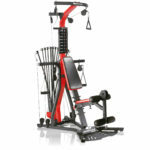 The first thing is the dimensions of the Bowflex Xtreme 2 SE and how much space you will need to operate. The resistance and Power Rod technology needs some explaining. Working out on a Bowflex home gym is not the same as lifting free weights. The Power Rod’s are built using progressive resistance technology. It has a unique feel to it that is quite different from lifting free weights. It’s kind of like pulling back a bow when loading an arrow. It’s pretty easy at first and gets progressively harder the farther you pull back. So, that said, the resistance technology may take some getting used to if you are accustomed to lifting with free weights. With the Bowflex machine, you will still get a great workout, and you can achieve your fitness goals. Lifting with resistance vs. free weights has similarities, they both provide some form of resistance, a full range of motion, and allow you to lift at different speeds. Okay, let’s move on. The Xtreme 2 SE comes with 210 pounds of resistance, which is upgradeable to 310 pounds or 410 pounds. That is one of the great features of this machine is that you can upgrade the amount of resistance, allowing you to grow with the machine and not outgrow it. When you add additional weight, this comes in the form of extra 50-pound rods. If you decide you want 310 pounds of resistance, you will get two extra 50-pound rods, etc. Bowflex has incorporated a no-change cable pulley system. This system allows you to freely move from one workout to another without having to change the cable system. This is a very efficient and effective way to workout. The Xtreme 2SE comes with an angled lat bar, allowing you to do narrow and wide grip lat pull downs, tricep pushdown, and more. You cannot lay down and perform bench press, but you can do an upright bench, as well as incline, decline, and chest flies. The leg attachment comes with the machine and is used for…wait for it…leg extensions. Unfortunately, there is no way to do leg curls with the unit. Leg curls are a big part of my leg day, so that is a bummer. However, there are a lot of other ways to workout legs, including squats, deadlift, kickbacks, adduction, adduction, calf raises. Another really cool piece of equipment that comes with the Xtreme 2 SE is the Abdominal Crunch Shoulder Harness. You can strap the harness around your shoulders and do cable crunches. This is a great addition to this home gym. The seat height is adjustable, and you can remove the leg extension, giving you space to do some lifts like deadlift, squats, etc. Bowflex is known for designing compact home gyms, and this unit is no exception. It will fit in your living room, or office and even looks pretty cool. One thing that is kind of a bummer, this machine is not foldable, like some of the other models, so you will want to keep that in mind. If you are looking for a machine that is foldable, check out the Revo. If you are a beginner, you have nothing to fear, Bowflex has you covered. The manual will show you sample workout routines, and it has images showing how to perform the exercises. The meal plans and tracking logs will help you get, and stay, on the right track to a better you. Now for the fun part, the unit does not come assembled. Honestly, I enjoy this kind of stuff, so for me, it is not an issue, but for some people it is. Bowflex does offer in-home setup, for a price of course. If that is more your speed, no problem, they have you covered. If you do assemble it yourself, I contacted Bowflex, and they suggest it will take about two hours to assemble. Another optional piece you may want to consider is the Machine Mat, a non-slip mat that the unit will sit on. This is especially nice if you have hardwood floors, or another surface you want to protect. I have had a lot of conversations with the customer service representative at Bowflex, and they have been friendly and helpful. They seem to be pretty knowledgeable about the products they sell. Well, I think that about covers it. The Bowflex Xtreme 2 SE has a lot to offer a home gym user. You can perform a lot of different exercises and get a full body workout in less time. The resistance may take a little getting used to, but after a bit, you should be ready to go. I like this gym because it offers a lot of great and functional exercises. With a home gym, you can work out on your schedule and build and maintain your body. If you are a beginner, this unit will allow you to grow into it, and you can use it for years to come. If you are a more advanced workout fiend, you can definitely see results as well. If are ready to purchase your very own machine, you can click here, and you will be directed to bowflex.com. There you can make your purchase safe and secure. 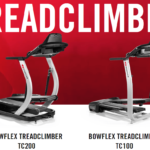 Bowflex also offers financing, so you are free to explore that option as well. For other home gym options, be sure to check out my complete review for the best home gym. 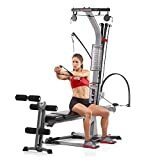 I would like to know what you think about the Bowflex Xtreme 2 SE. What is your favorite feature of this Bowflex home gym? What do you think about owning a home gym? If you have any questions or comments, please leave them below, and I will get back to you as soon as I can. Thanks for taking the time to read this review, I hope it has been helpful. Have a great day! Very in depth review of an amazing product. Thank you for explaining features and technology of the equipment. 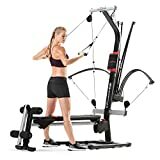 I personally believe that when purchasing equipment like this, it should target all muscle groups of the body. As you’ve mentioned it does in fact work the muscles in all areas of the body which is definitely a bang for your buck. Which types of muscles do you consider the most important and how frequent do you work out to develop them? Thank you for stopping by. I agree with you, a piece of equipment that works the whole body is a fantastic way to go. There are other options out there, some I have reviewed, that target specific areas like core and those are great also. For me, core is primary, and I consider that to me from the armpits to the knees. I know that is a pretty wide definition, but that is the most important area for me, with my back problems. I workout 5 days per week, plus I do some stuff each morning to get my back ready for the day. Thanks again for your comment, I appreciate it. I have never thought about getting a home gym. But it does make a big sense. Am I tired of paying for the gym membership, of course! it takes a bunch of money out of our family budget as both my husband and I are attending. Now the Bowflex looks like an awesome equipment to have is someone is looking to have a personal gym. I wish we could have more space for the equipment in our house, but even though this machine looks relatively compact you would still want to have a chunk of space for it. The idea of bow pulling is quite awesome for resistance! I am used to having free weights but I am pretty sure this can add quite a bit of resistance too especially by adding more bowstrings. Will definitely look at something like this when we will develop our basement! Thank you for your comment. I can definitely understand your concern for space. A basement would be a great location for a Bowflex. This model has an upright orientation, so compared to other options, it is a space-saver, but still you have to have some room for it. I also understand how expensive gym memberships can be for two people, so this could be a great option. Please let me know if you have any questions, or need any help. Thanks again for stopping by. I really enjoyed your article on Bowflex. It’s been years since I’ve had a home gym because I love the variety of equipment at the gym. However, with my work schedule it’s really been hard to keep a regular workout schedule. I realize that this is something I need to consider so that I can stay consistent with my workouts. Thanks for this really great information. Thank you for your comment Ruby. I understand the variety of equipment you are talking about. I do think this Bowflex Xtreme 2 SE offers a lot for a home gym. You are right on as far as staying on schedule with workouts. If you have a gym at home and can get a great workout in, there are no excuses right? LOL. Thanks again for stopping by, I appreciate it. Thank you very much, I appreciate it. I really enjoy writing, so I am glad you enjoyed reading. Please let me know if you have any questions, I am here to help. Oh, and please take a look around, I have a lot more reviews to take a look at. Ah, I remember these commercials, these guys they show are always ripped! I have thought about getting a home gym, since it’s more convenient than going to the gym. Plus they gym is always so crowded. I do have a question, can you add more weight to this machine or does it just come with 210 pounds? I really like the video you added as well. Thanks for reviewing this Bowflex, you have a lot of great information here. Yes, they definitely show the killer bodies, to sell their equipment. Swimsuit models sell swimsuits, and fitness models sell fitness equipment, that’s the way it goes. Anyway, to answer your question, yes you can upgrade the resistance to 310 or 410 pounds. If you choose to upgrade, you will receive additional 50-pound resistance rods. I appreciate your comment and if you have any more questions, please don’t hesitate to ask, I am here to help.